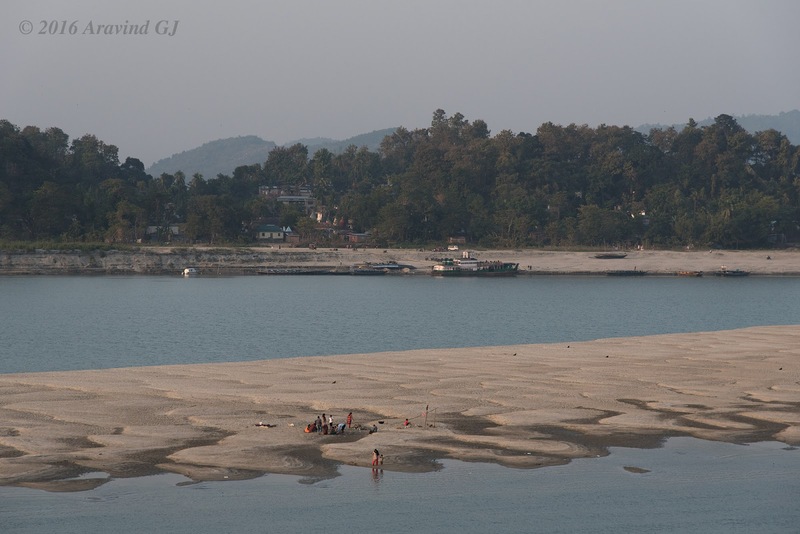 Umananda island in Brahmaputra river is known as the smallest inhabited river island in the world. The reason for human inhabitation is due to the presence of Umananda temple in the island. 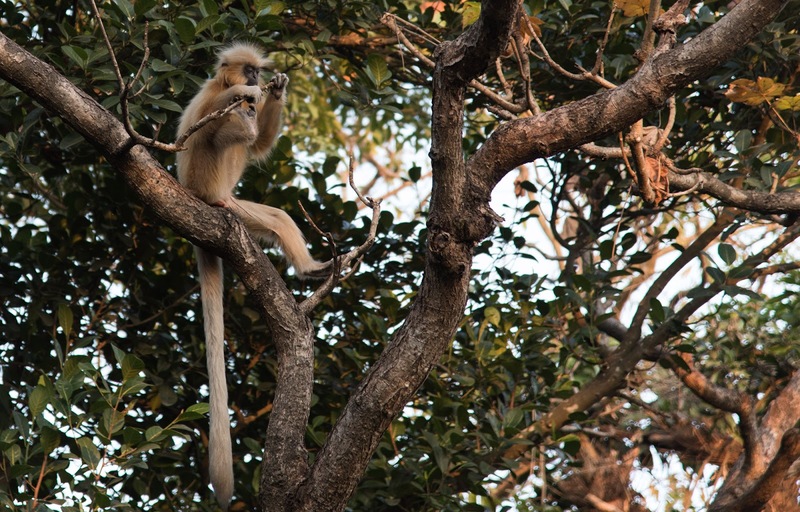 The island is also home to endangered Golden langurs. British also called it as peacock island due to its shape. But locals refer it as Umananda island. Our trip to North East started from Guwahati. We had few hours at our disposal before heading to our next destination. 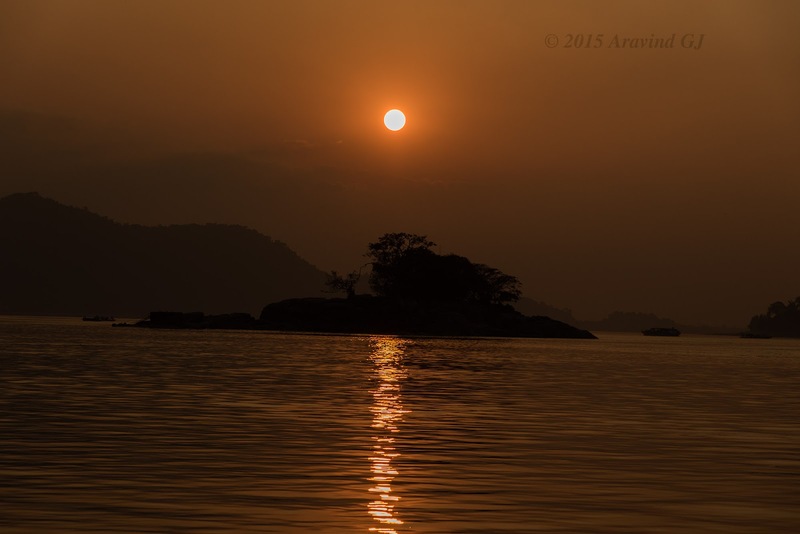 Like many tourists we wanted to see Brahmaputra river and Umananda temple seemed to be the ideal place. 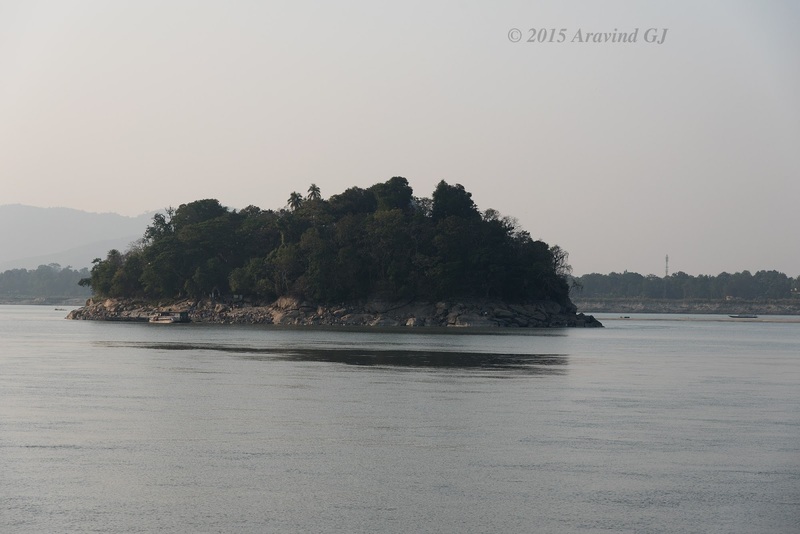 At Umananda ghat, we were amazed at the mighty Brahmaputra river. So wide and vast!! Government boats have regular schedules to the island. It just costs Rs 20 for round trip and the journey lasts for about 5 minutes. The boat was old and life jackets were kept for decoration purpose. A private boat would cost hundred times more but you will have a boat for yourself. We took the Government boat. Almost all visitors come to visit Umananda temple. A bit of climbing takes to the entrance of the temple. During our visit there was a queue to the temple which moved very slowly. We decided to skip the temple and take a round of the island. It takes about 10 minutes to circle the island. 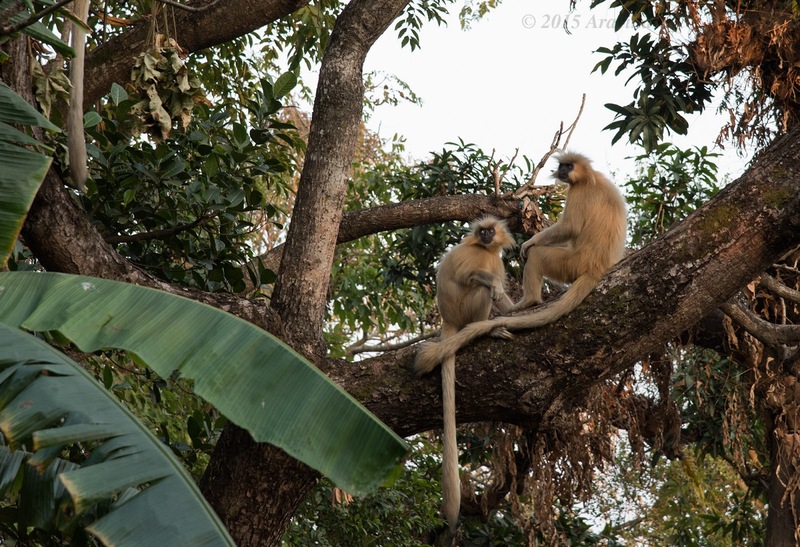 Golden langurs can be easily spotted. I understood that unlike monkeys they do not trouble humans for food. The sun was about to set when we started our return journey to main ghat. Very nice sunset with detailed information about this island.